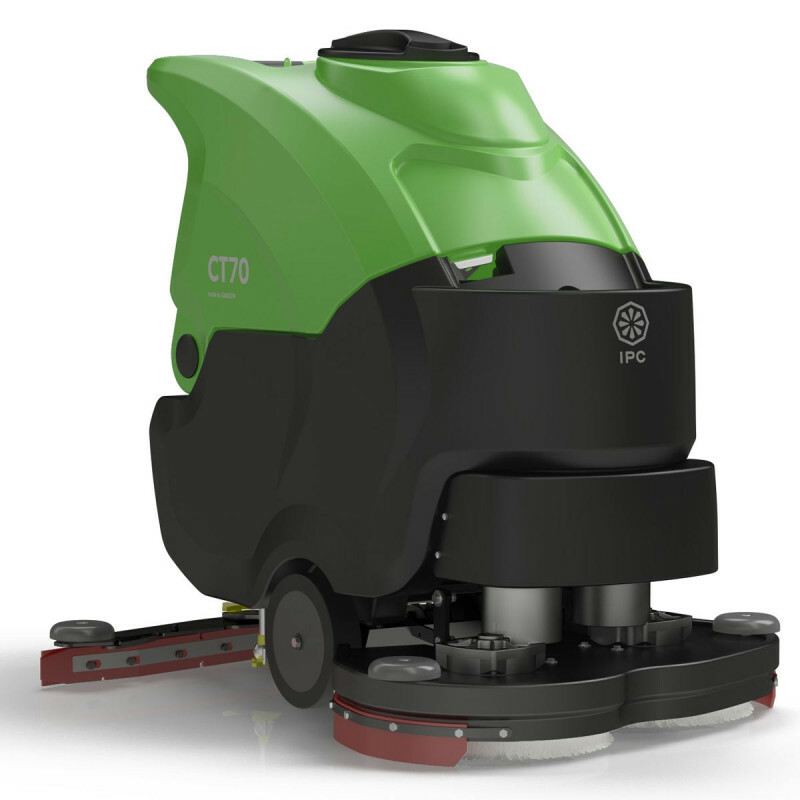 This IPC Eagle battery powered auto scrubber has a 24 inch scrubbing width for cleaning those really large wide open areas. It has a 19 gallon solution tank to allow for extended scrubbing times in between filling and emptying the auto scrubber. The 2 batteries will power this scrubber for about 2.5 hours depending on the type of surface being scrubbed. 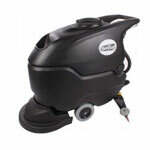 Can be used to scrub or strip, and with the battery power, the machine can go anywhere. The maximum cleaning speed when you are in drive mode is 2.8 mph. Please feel free to check out some of the other walk behind floor scrubbers we carry including many other models of IPC Eagle commercial floor scrubbers to more efficiently scrub and clean your facility. Traction drive maximizes the efficiency of the machine & Minimizes the amount of effort needed to operate the machine. Can easily scrub a 50,000 ft² facility on a full charge. Exclusive V type squeegee assembly leaves the floor dry to the touch after passing over it. Anti-foam recycling system, automatic float shut off and other safety measures maximize vacuum motor life. Spin on & off brushes / pad drivers make change out easy. Self-leveling scrub head easily adapts & keeps consistent scrub pressure on uneven floors.